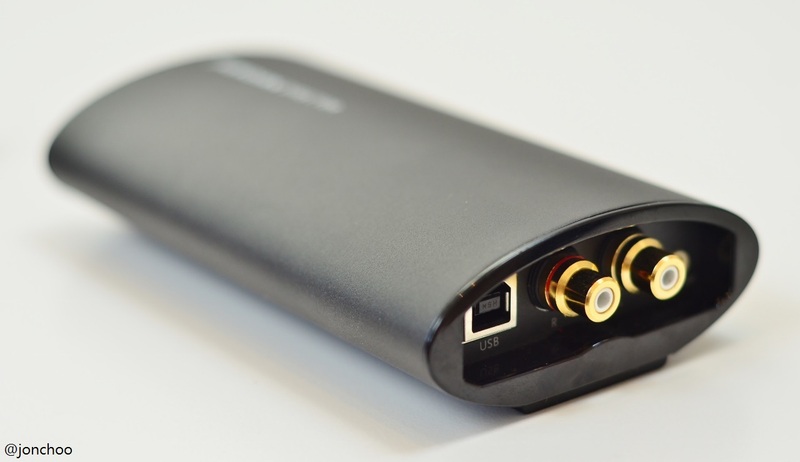 The Meridian Explorer is a new pocket size USB DAC by Cambridge based audio company, Meridian. 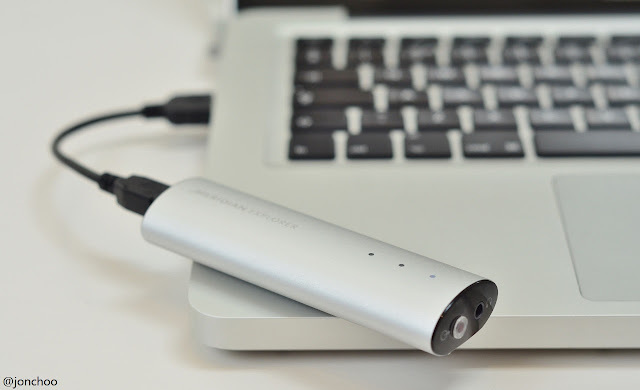 The portable audio gear is aimed for those who aims to improve the audio quality delivered by their computers. It is designed to bypass your PC's normally inadequate sound card as the source. A CD and MP3 file typically contains audio tracks in 16-bit resolution and 44.1kHz sampling. For some people, this isn't enough. Specialist stores do sell albums encoded in 24/192, but these are rare and expensive. The Meridian Explorer on the other hand is designed to take these 16/44 files and up sample them. This isn't quite the same as buying audio files encoded in native 24/192, and is more akin to buying a Blu-Ray player that is capable of up sampling a 1080p source for playback onto a 4K monitor. I do not profess to be an expert in audio, but a short A-B test with the Meridian Explorer via a pair of Sennheiser HD 700 headphones and my own beloved Sennheiser IE8 in-ear monitors with a Macbook Pro/iTunes as the source, quickly demonstrated the benefits of using a dedicated DAC. Playing a AC/DC track, I immediately notice the a dramatic improvement in audio quality the Explorer has over using the Macbook Pro's headphone out. The bass are better defined, the treble were clearer and the vocals stood out right in front. While I do not believe that up sampling would actually add anything of value to the sound resolution (and it is still debatable whether human ears can audibly tell the difference between 16/44 and 24/192 audio files), the audio quality delivered via the Explorer's Texas Instruments PCM5102 32-bit 384kHz DAC and amp were a clear improvement over those of the Macbook Pro's headphone out. So in terms of delivering clarity, the Explorer kinda rocks. Using the Explorer is rather simple, just plug in the DAC into the USB socket of a compatible modern Windows, Mac or Linux machine and select the Meridian as the source. Then plug in a headphone into the 3.5mm headphone socket. A separate line-out allows you to bypass the amp and use it as a dedicated DAC to connect to a separate external amplifier. It's bigger more expensive brother, the Meridian Director, is designed to be plug into source with optical or coax S/PDIF. Sadly I wasn't able to test the Director. Both the Explorer and Director were extremely well made and has an expensive feel to it. I found the Meridian Explorer to be a tad light, but as it is designed for laptops (you could also use it on a desktop if your wish), the lightness is actually a positive point. You could chuck it into your laptop's bag and never have to leave home without a good audio gear in stow. While many readers may balked at the idea of spending £250 (which is reasonable considering the quality) on an audio equipment, the product is clearly aimed at those, who primarily listen to music from their computers, who are seeking to enhance their audio experience or complement their higher quality headphones. Best of all, both the Explorer and Director are made in Britain. I will be seeking out a unit to do a more comprehensive test, so watch this space.